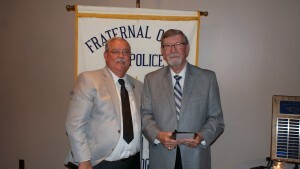 Fraternal Order of Police Lodge 113 bestows several awards each year at the Lodge’s annual Awards Banquet. Awards may be made for Officer of the Year, Valor, and Member of the Year. In addition, special recognition may be given to those who have made outstanding contributions to law enforcement and the community. The Awards for 2015 were presented at the banquet on December 5, 2015. 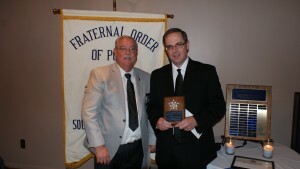 Member of the Year: Ray Hulgin, H.C.S.O. 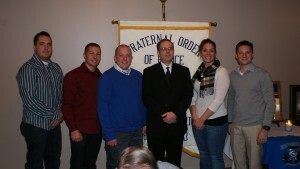 Meritorious Award: Deputy John Goebel, H.C.S.O.